﻿ Dutch Valley Market - Ohio. Find It Here. 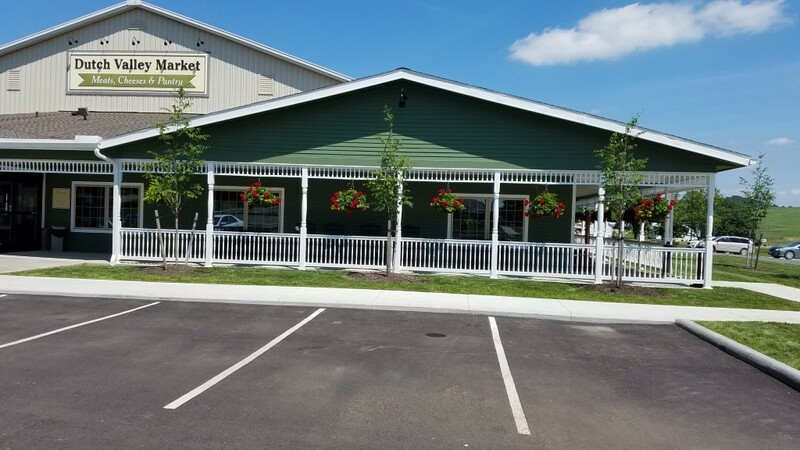 When visiting Amish Country be sure to bring a cooler and stock up on fresh and frozen meats, deli meats and cheeses, and all kinds of specialty food items available at Dutch Valley Market, located on the Dutch Valley Restaurant campus just east of Sugarcreek, Ohio on State Route 39. The Market carries Certified Angus Beef, local and regional cheeses, jar goods including pickles and peaches, salsa and sauces made in Amish Country. The market is open 9am to 8pm Monday through Saturday. Located next to the Ohio Star Theater, Carlisle Inn Sugarcreek, Dutch Valley Gifts and Dutch Valley Restaurant, this is a stop you don't want to miss in Ohio's Amish Country. Park your car and enjoy the entire campus, including a playground for little ones and carriage rides (in season) for everyone.